LIVE like a ROCKSTAR and TASTE the lifestyle of the RICH and FAMOUS! 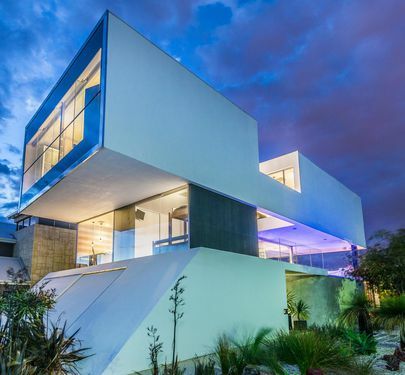 ONE OF A KIND masterpiece on an ELEVATED 728m2 block boasting OCEAN VIEWS packed full of SPINE TINGLING STYLE! BLOOD SWEAT and TEARS have dragged this WORK OF ART into the 21st century while showcasing its BRAVE 1980's FLARE that defines its very existence. -ENJOY all of this while being ONLY 13 odd Kilometres from the Perth CBD. NO WORDS can articulate how this JAW DROPPING residence will make you FEEL...CALL NOW to experience it firsthand! -4 minor bedrooms all with built in robes, 2 upstairs and 2 downstairs offering separation. One of which has its own secret hide away loft that the kids will love! 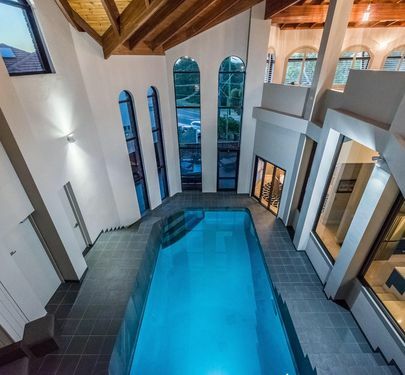 -Insane salt water indoor pool with a digitally controlled touch pad solar heating system is framed with cathedral style raked ceilings and flooded with natural light through the west facing sky high arched windows. -Downstairs living area facing into the pool area with access to the North facing alfresco plus South facing courtyard. Finished with a stunning feature gas fireplace, built in cabinetry and TV point. -Stylish well-appointed kitchen with Smeg double self-cleaning oven, Neff induction cooktop, dishwasher, breakfast bar with extra thick Caesar stone bench tops, marble tiled splash back, tons of overhead cupboards plus soft closing drawers, big pantry, built in wall safe, double stainless steel sinks and a work station perfect for a quick coffee while answering those morning emails! -Multiple outdoor living and relaxation zones leave room to breathe or for everyone to come together on even the biggest of occasions. Main entertaining area with a freestanding gazebo, 6 burner built in gas BBQ, fire pizza oven, stunning exposed aggregate and landscaped gardens. Two front alfresco areas overlooking bushland with their own low maintenance grass patch plus additional timber lined alfresco that catches all of the winter sun. -BIG TRIPLE GARAGE with flexibility to be used as an awesome man cave boasting 3 phase power, TV point, remote controlled doors, multiple storage zones, potential cellar plus access to the pool pump room with new and updated equipmentIf that's not enough there is room for additional guest/teenager parking on the extensive driveway. 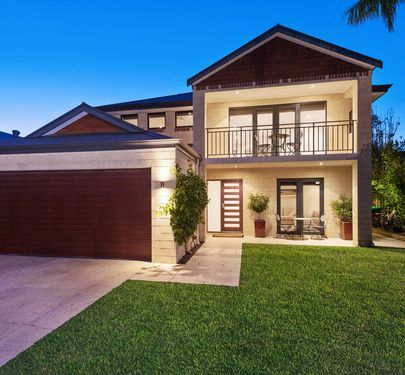 Located in the BEST pocket of Wembley Downs and boasting sweeping views of Luketina Reserve this FUN, FUNCTIONAL and FAMILY FRIENDLY residence sits on an IMPRESSIVE street front 522m2 GREEN TITLED block. Super FLEXIBLE floorplan offering great SEPARATION designed for the demands of modern families who seek low maintenance living without having to compromise on SPACE, LOCATION or PRIVACY. Wembley Downs has fast become a HOT SPOT in the Perth property market due to its location putting you minutes from a host of popular schooling choicesThis unique pocket sits in the catchment for Churchlands Primary, Kapinara Primary plus Woodlands Primary and presents other options like Hale School, Holy Spirit Primary, Churchlands High and Newman College just to name a few. A wide range of lifestyle choices will keep the family ENTERTAINED all year roundCity/Floreat beach, Wembley golf course, Floreat Forum, Bold Park aquatic centre, Wembley Downs Tennis Club, Event Cinemas plus numerous parks and reserves. 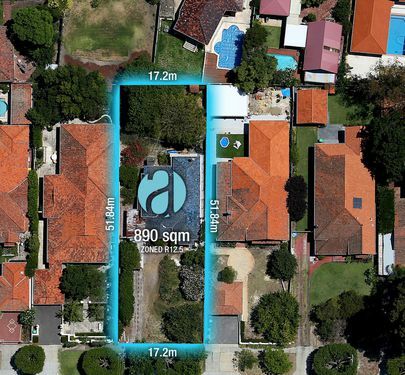 Capitalise on your chance to own TWO houses with TWO separate street frontages, spread across a HUGE 2,119sqm. So many options await the SMART investor; live or rent out, Airbnb/short stay accommodation, purchase with friends or reap the benefits of buying through a Self-Managed Super Fund and be confident of long term capital growth. 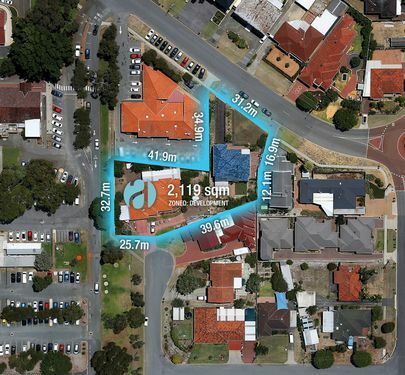 Position yourself NOW to take ADVANTAGE of the proposed City of Stirling's Northern Precinct plan which aims to promote high-density, mixed use redevelopment within the immediate area surrounding Osborne Park Hospital. This opens the door for a minimum 3 - 5 storey building comprised of medical offices and consulting rooms, cafe and multi-level apartments in a location well supported by public facilities and infrastructure. -Osborne Park Hospital: Right next door! DEMANDING your attention this EXQUISITELY DETAILED character home on an ELEVATED CORNER block of 544m2 with CITY VIEWS boasts a BOLD street presence and is only meters to Les Lilleyman Reserve. Built for those that APPRECIATE and UNDERSTAND the FINER things in life this unique residence screams MODERN CONVENIENCE and is perfect for those who seek low maintenance living without having to compromise on QUALITY, SPACE or LOCATION. RECREATED with a TRANSFORMING REBUILD in 2003, FINELY TUNED and extended in 2012, and METICULOUSLY cared for EVERY SINGLE DAY sincethe attention to DETAIL will AMAZE and the character ornate finish, will please those captured by the allure of yesteryear. Ornate ceiling roses, artiste parchment painting, leadlight windows, hand painted cabinetry, soaring ceilings, high skirtings, wide architraves, stunning "distressed" cornices & picture rails, 125mm polished jarrah floorboards, solid jarrah window/door frames, manicured gardens, cast iron flowing fountain, federation tiling, tuck-pointed exteriors and the LUXURIOUS "Swags and Tails" window treatments are a STATEMENT of pure CLASS rarely seen in today's homes. 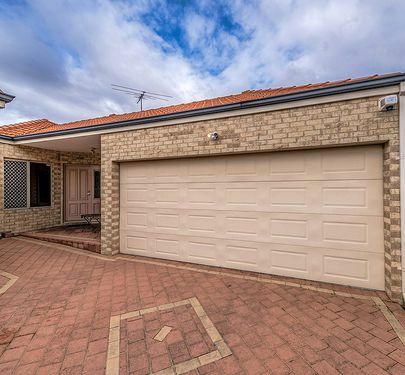 Within the catchment for the POPULAR Kyilla Primary and Mt Lawley High SchoolWalking distance to Angove Caf strip...A stone's throw to Les Lilleyman ReserveA short drive to the CBDand a true COMMUNITY feelIt's no wonder this WONT last LONGCALL NOW! 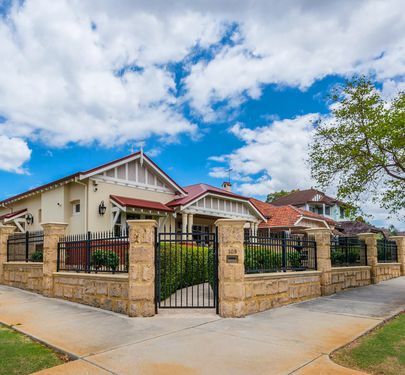 -Set behind solid hand carved limestone rockface walls & Iron fencing, the eye catching federation style veranda with tuck pointed exterior sets the tone for the rest of the home. -MASSIVE family room with feature bulkheads and ornate character features flows effortlessly through the bifold doors to the childrens ACTIVITY ROOM giving you the option to combine them into one when entertaining family and friends. -Under the main roof 4 car garage/carport with automatic electric gate, with additional exclusive off street parking for a further 5 cars. -2x large extra storage sheds plus a ton of storage in the roof cavity with full lighting. Lock in tomorrow's POTENTIAL at today's PRICE! "It'll be big, it'll be fantastic, it'll have lots of jobs, life and vitality,"
Lets go one step further and say the soon to be built $120 million dollar Ocean Reef Marina will produce nothing less than a WORLD-CLASS, WATER FRONT precinct that will offer an UNRIVALLED LIFESTYLE to the surrounding residents. 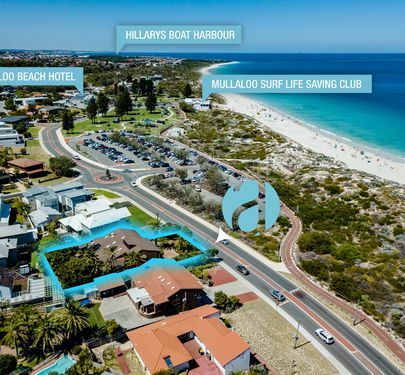 This, combined with the fact that you're literally seconds away from the PRISTINE coastline of Mullaloo Beach, only minutes to your MORNING COFFEE and just meters to the popular Mullaloo Surf Life Saving Club makes 32 Oceanside Promenade a great place to call HOME! You'll soon FORGET the face brick when all you FEEL is the sand between your toes each morningCALL NOW! All offers by 7th March! 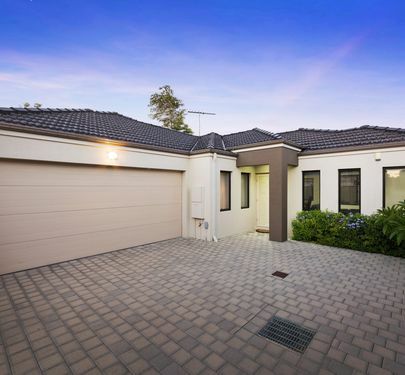 Renovated in 2016 this split level, FUNCTIONAL and FAMILY FRIENDLY residence oozing X factor will suit an array of buyers...A 4 car garage, ENORMOUS pool, AMAZING alfresco and a versatile SEPARATE wing for teenagers, visitors, business needs or even an Air BnB are just some of the awesome benefits. 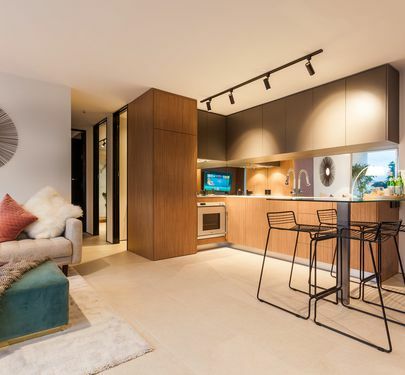 Having FUN never goes out of fashion and this sought after position takes full advantage of the opportunities that come with inner city/coastal living not to mention the handy proximity to the new multi-million dollar developments at Karrinyup and Innaloo shopping centres. Bike paths to the city and beach, a variety of parklands such as Jackadder Lake, caf's, shops, gyms, medical services, public transport, sporting facilities as well as walking distance to a number of fantastic schools such as Hale School, Holy Rosary, Woodlands Primary School, Newman College and Churchlands High School. With looks to kill and style that stings you NEED to see this one! -GOURMET kitchen designed around LOOKS and PERFORMANCE meaning you will never miss a beat no matter how big or small the occasion. The appliances are ALL QUALITY and include a 900mm oven with rotisserie, 900mm low profile cooktop with fish burner plus dual rangehood, built in 600mm combination oven/grill/microwave, built in wine fridge, fully integrated dishwasher, water connection for fridge and ZIP boiler/chiller unit with font. The finishes are second to none with stone tops, soft close cabinets, feature lights and a massive island breakfast bar. -OPEN PLAN lounge is the hub of the home and can be used for the biggest of dinner parties or the coziest of movie nights, complete with an eye catching feature wall with TV recess and custom built in cabinetsPeel back the bi fold doors and bring the outdoors in on those warm summer nights. -Simply AMAZING alfresco/balcony area flows effortlessly from the lounge, whether its quiet coffees in the morning watching the sunrise or busy BBQ's in the evening while enjoying the inland views. Designed to "WOW" with finishes like an Electrolux integrated BBQ plus pizza oven both connected to mains gas, Whispair rangehood with external motor (extra quiet), filter tap, hot and cold taps, dimmable lighting and a remote controlled ceiling fan. -4th bedroom is SEPARATE from the rest and offers FLEXIBILITY for teenagers, guests, extended family or those unexpected visitscomplete with its own TV point and built in robes you will never hear a peep! -72,000 litre salt water POOL is an absolute SHOW STOPPER and will have friends and family begging for a visit! The combination of Merbau wood decking, sleek frame-less glass fencing, your own outdoor shower and feature lit greenery gives a holiday vibe and will leave your neighbours envious. Refurbished with a new pool pump, filter and chlorinator, recently painted and tiled, fencing with lifetime warranty, built in storage and pool cleaning equipment. 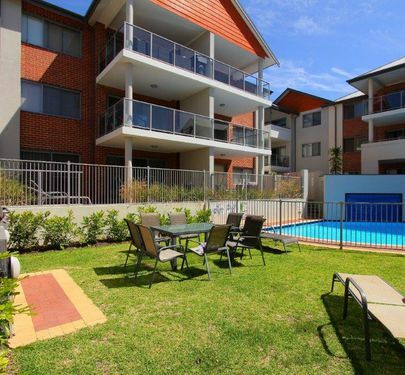 -Great size SECURE front yard within eyesight of the balcony/alfresco perfect for pets and kids with mature tropical plants, theres even 2 veggie gardens for the green thumbs! On a generous 466m green titled land holding, a lavish north facing resort style pool and decked outdoor space, this stylish residence means a sumptuous lifestyle in a timeless, well thought-out design. The 240 internal square metres of immaculately finished home caters for families large and small with 4 sizeable bedrooms and 2 delightfully chic bathrooms. This once in a lifetime property is a celebration of a superior build and an attention to detail rarely found in today's homes. Yes there is a reason we don't have any internal photosWe don't want to SCARE the faint hearted! Quit DREAMING about going on "The Block" and make it your very own REALITY! Screaming for some love and attention this all original, ONE FAMILY, 1930's gem is as RAW as they come and boasts a GENEROUS 890m2 BLUE CHIP landholding! A true OPPORTUNITY for the visionaries that can see past the cracks, dust and dirtFortune favours the BRAVE and the true profit often lies beneath a mountain of work! Plant your roots and GROW into this FAMILY FRIENDLY suburb, sitting PERFECTLY between Saint Pauls Primary, Mt Lawley Primary, Mount Lawley High School, Perth College and Edith Cowan University. Call your builder buddies, dust off the tools, get your hands dirty and reap the rewards of this INNER CITY suburbCALL NOW! If you are looking to demolish and build new please email for a copy of the "3.1 Character Retention Guidelines Mt Lawley, Menora and Inglewood". WATER RATES: $1224.54 p/a approx. COUNCIL RATES: $1595.24 p/a approx. 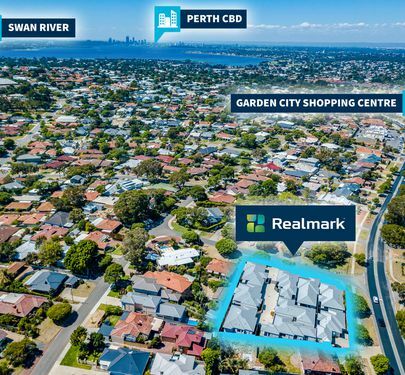 Impressively located on the banks of the Swan River and offering a rare opportunity to have sweeping river and park views, this double storey 3 bed 2 bathroom Ross North home encapsulates urban living in an idyllic RIVERFRONT setting! 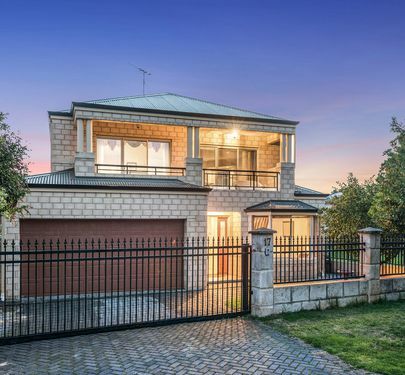 Designed and built for a low maintenance lifestyle, the lucky new owners of this home will enjoy the convenience of all the amenities on offer, the access to direct public transport links to the city and most of all the highly sought after ABSOLUTE RIVER frontage!!! 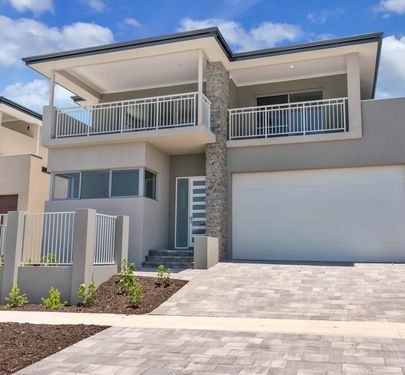 Boasting a well thought out functional floorplan, this remarkably well positioned home will suit buyers that appreciate the focus on lifestyle' without having to compromise on space, quality or privacy. -Upstairs there is also a fully fitted home office to cater either for the ever increasing need to be mobile' in our work or that studio/hobby room you've always wanted! -The retreat upstairs has a super handy mini kitchen with double bowl sink and accesses the balcony to take in the WORLD CLASS river views! Riverfront opportunities like this are RARECall NOW to secure your viewing! COUNCIL RATES: $2636.05 p/a approx. WATER RATES: $1214.33 p/a approx. Kick Back and Chill, in Tuart Hill! 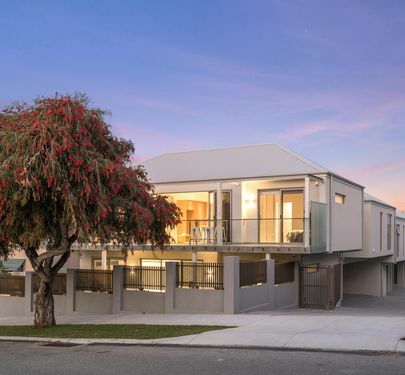 A brand new four bedroom home in the well-established Tuart Hill, finished with the finest materials to an impeccable standard, 105 Osborne Street is the perfect combination of low-maintenance luxury and calming outer-city convenience. There's no need to burden yourself with the stresses of searching for a block and building when all the hard work has been done for you. Just take the keys and move straight into your untouched castle surrounded by every convenience you could think of. Only a short drive from bustling social hubs including Beaufort Street, Mt Hawthorn and the Angove Street Caf Strip, several great schools and just a stone's throw to the CBD. When the errands are building up Dog Swamp Shopping Centre is conveniently just around the corner. 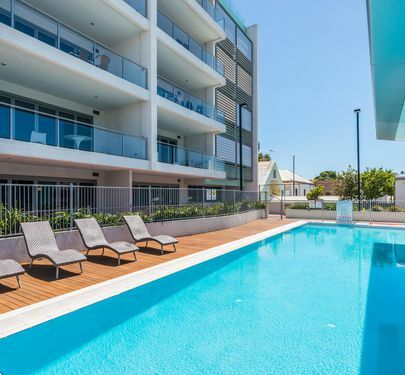 If the urban life doesn't tickle your fancy and you're more of an active type, the WA Golf Club, Mount Lawley Golf Club and Lake Monger, and Terry Tyzack Centre are all just down the road. Designed with contemporary styling and family convenience in mind, this home cleverly separates the master suite from the other bedrooms for maximum privacy. Three generous bedrooms with built-in robes are tucked away downstairs and share a deluxe bathroom with premium fittings and beautiful finishes throughout. With an abundance of natural light, courtyard access and all the appropriate wall sockets, the rear bedroom is versatile and can be used as a comfortable rumpus room if a fourth bed isn't required. The master suite is upstairs boasting a lavish ensuite with dual vanities and a vast walk-in robe almost large enough to be a bedroom for your least favourite child. Also on the ground floor is a study for thriving young minds or keen hustlers, ideally positioned by the front entrance so you can run a business from home without disturbing the rest of the tribe. Your light and bright downstairs living room feeds onto a sizeable courtyard, perfect for drinks with friends or just relaxing under the stars in the evening. This setup is ideal for a group of young professionals or a maturing family who prefer to be away from their spawn after the sun goes down. Upstairs to take full advantage of stunning views is your enormous stone kitchen and breakfast bar with sophisticated European fittings and appliances, deep double sink, premium soft-closing cabinetry and more than enough storage to accommodate any masterchef. This feeds onto an open plan living and dining area that couldn't be more perfect for a dinner parties or a family meal, feeding onto a expansive balcony for entertaining during those warmer months. Just like the treetops you're gazing across, with phenomenal hill and city views, your guests will be green with envy. 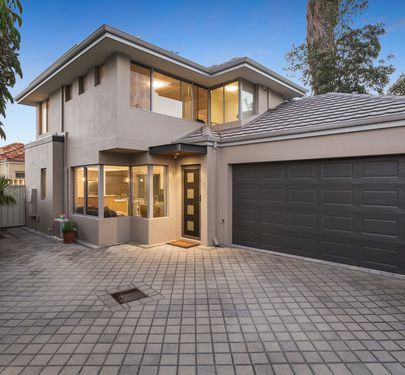 105 Osborne Street is your foot in the door of the booming Tuart Hill, without the stress of maintaining an older property or designing a new one yourself. 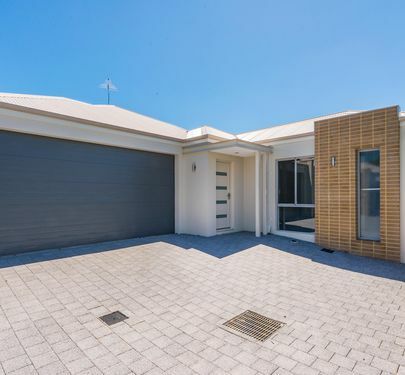 Just completed to the highest standard, this rare opportunity to snap up a brand new home will not last long, so be sure to pencil in a viewing or call Duncan Williams on 0432 269 811 as soon as possible. -BRAND NEW four bedroom, two bathroom home. -On the border of Joondanna and very close to Mt Hawthorn. -Land: 264sqm	House: Approx. 268sqm. -Three bedrooms with built-in robes on ground floor, one usable as a living room. -Upstairs master suite with lavish ensuite and huge walk-in robe, very private. -Study on ground floor near front entrance, great for home business. -Low-maintenance courtyard, enough room for a pet and outdoor setting. -Stunning upstairs stone kitchen and breakfast bar, European appliances, premium cabinetry, double sink. -Light and bright open plan living and dining area, views across trees to the hills. -Vast balcony with phenomenal sweeping views to the CBD and inland. -Large double garage with extra storage space. -Ducted and zoned reverse cycle air conditioning throughout. Alarm system. 15 minute drive to the CBD. 5 minute drive to the Mt Hawthorn Caf Strip. 8 minute drive to Beaufort Street. 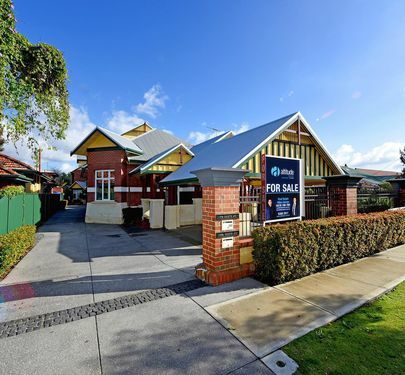 5 minute drive to the North Perth Angove Street Strip. 800m to Dog Swamp Shopping Centre. 600m to St Denis Catholic Primary School. 600m to Tuart Hill Primary School. 15 minute walk to Servite College. All distances and travel times are Google Maps approximations. Super cool city pad perfect for the modern city dweller looking for convenience, lifestyle and proximity with the HYDE PARK address! 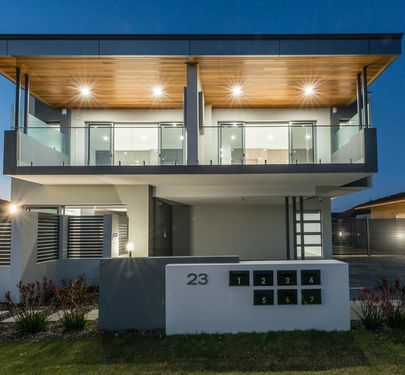 This unique home has been specifically designed to capture the stunning city views! Very functional over 3 levels with great separation between the second bedroom with ensuite and second living area on the ground floor. The master bedroom with en-suite and private balcony is located on the first floor. A modern, spacious kitchen with open plan living and meals area was purposely built on the first floor so you can enjoy the panoramic CITY VIEWS and private entertaining balcony. 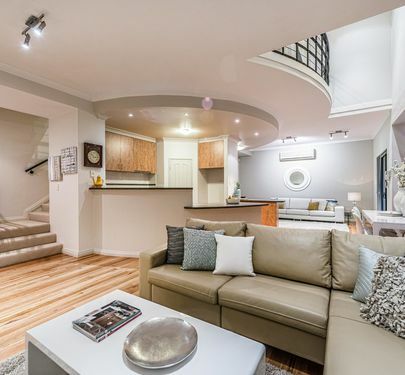 The third extra large bedroom/studio is provided up the feature spiral staircase into the loft mezzanine, also with exceptional views right across from the city to Hyde Park. You have the added bonus of a double lock up garage and security entrance to ensure your peace of mind. Once inside off the ground floor living you have a large sunny courtyard for the extra outdoor space, and there is a spacious, light-filled laundry which could also be used as a kitchenette if needed. 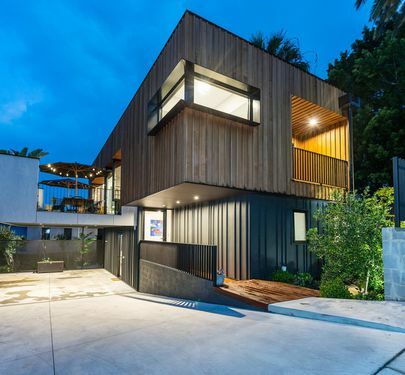 Don't be fooled from the street view, as this home is deceptively large and needs to be viewed to fully appreciate how private, quiet and convenient it really is! - If you work in the city, walk to work! - If you want to eat out or meet friends for drinks on Beaufort St, Mt Lawley, walk! - If you love a good walk in the park, you have Hyde Park right here! - If you need to shop, well that's all a walk away too! - Buses to and from the city are just a 30 second walk away as well. - Low fuss, low maintenance modern property gives you more time well for you and your lifestyle. - Built in 2009 by multi-award winning Devrite Homes of Distinction. - Council rates: $2,108.17/pa (approx). - Water rates: $1,209.95/pa (approx). - 95m to Hyde Park. - 850m to Beatty Park Leisure Centre. - 15 minute walk to the Beaufort Street strip. 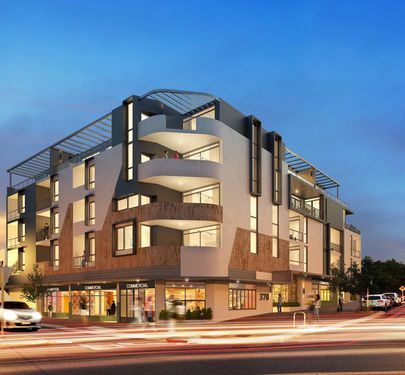 - 650m to North Perth Plaza shopping precinct and Angove St Cafes. - 8 minute drive/bike ride to the CBD. We love living in one of the best streets in Perth! 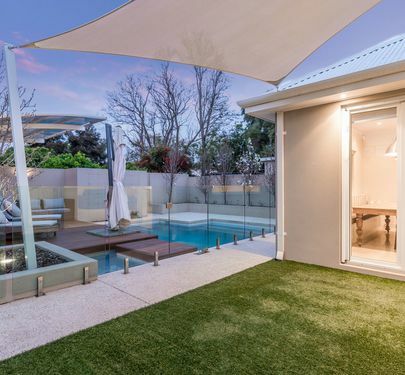 Surrounded by North Perth, Mt Lawley, West Perth, Highgate and Northbridge this ideal, secluded, quiet location next to Hyde Park offers an abundance of restaurants, cafes, shops and nightlife - all on the city's doorstep. Topped off with a low maintenance, modern, spacious home with sensational city views across to Hyde Park, living here is a breeze! Whether you are looking for the next step up from your unit or a tranquil, design-savvy getaway that's close to everything with minimal effort, 123D Beatrice Street should be at the top of your "to-view" list. 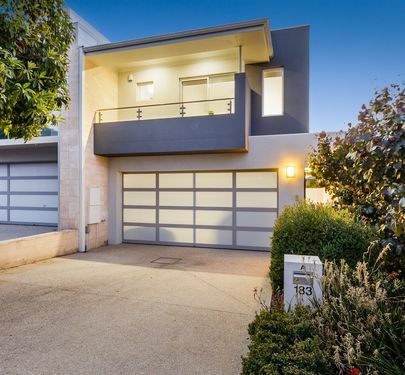 This property is a super-sleek, low-maintenance townhouse in the fast-selling suburb of Innaloo that's conveniently positioned among the area's long list of amenities. With phenomenal schools, two shopping centres under redevelopment, proximity to the CBD and only a stone's throw from the newly redeveloped Scarborough Beach Precinct, it's easy to see why homes of this calibre are being quickly snapped up by families, downsizers and young professionals throughout Innaloo. 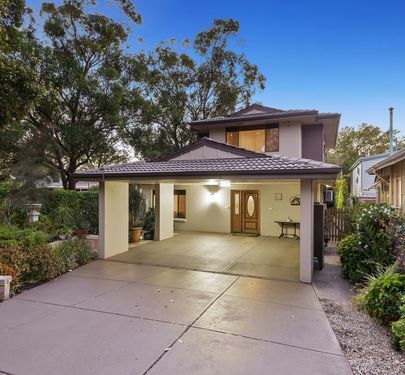 From your tree lined street across from Birralee Park, walk up your leafy green driveway, step inside and be charmed by a blanket of natural light that covers every inch of the home. A homely open plan living and dining space greets you as soon as you enter, perfect for entertaining guests or just enjoying some quality family time. 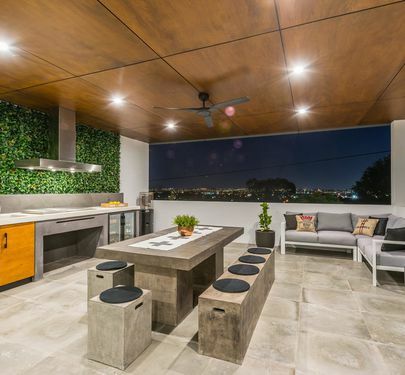 This feeds onto a private courtyard that couldn't be more perfect for a drink in the evening or enjoying dinner outside, flaunting stylish timber panelling, Travertine pavers and a low-maintenance bamboo garden that will be sure to impress your guests. 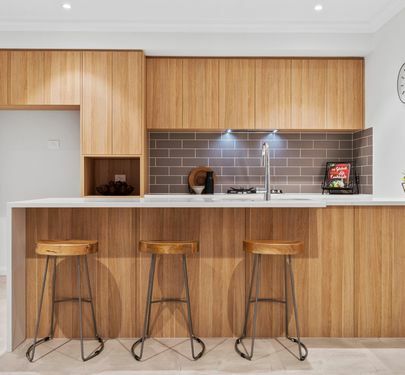 The dining, living and outdoor spaces are overlooked by a stunning stone and woodgrain kitchen with far more character than the average Innaloo home. It's got enough room to satisfy the needs of the enthusiastic foodie with storage from head to toe, stainless steel appliances and a generous pantry. Even after a big night on the town you will look forward to the mornings in this light filled home. Up the stairs a restful second living space awaits, great for maturing children that you would like to keep your distance from occasionally. On the top floor appreciate two comfortable bedrooms boasting a mixture of walk-in and built-in robes, with reverse cycle air conditioning keeping everyone comfortable all year round. These bedrooms share a European style bathroom complete with a sizeable bath, quality fittings, feature tiling and a low-maintenance design. The downstairs master bedroom possesses its own ensuite with a walk-in robe almost big enough to rent out separately, and is not only away from the two upstairs bedrooms for added privacy, but great for downsizers that might not want to regularly ascend the stairs. The townhouse at 123D Beatrice Street is unique for the Innaloo area with its own individuality, and a sense of style and privacy that's often missed in newer homes. Intelligently designed to be practical yet elegant. Be sure to view this one quickly, because Innaloo buyers are going to be Blown Away by Beatrice! - Three bedroom, two bathroom townhouse opposite parklands. - Built in 2008 on a 268sqm block, one of four townhouses (rear). - Open plan living and dining with plenty of natural light, feeding onto stylish courtyard. - Lavish stone and woodgrain kitchen with stainless steel appliances and plenty of storage. - Downstairs master bedroom with ensuite and huge walk-in robe, great for those with sketchy knees. - Two comfortable bedrooms upstairs with built-in/walk-in robes, sharing Eurpoean style bathroom. - Second living space upstairs very large and flooded with natural light. - Reverse cycle air conditioning, full alarm system. - Large double garage with extra storage space, currently used as home gym and extra parking for guests. 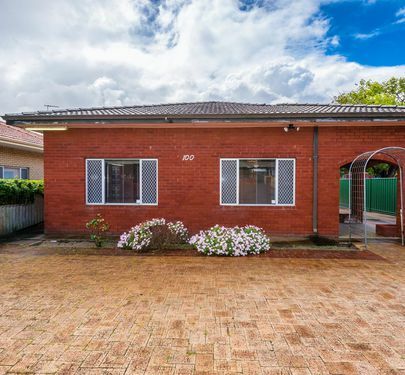 GENERAL: 2 W/C's, quality tapware throughout, double brick construction, tile roof, gas to property, security alarm, separate laundry, retic, retractable awning over outdoor area, dishwasher. COUNCIL RATES - $1902.80 p/a approx. WATER RATES - $1120.56 p/a approx. For the first time in decades, 198 Lawrence Street Bedford is on the market! 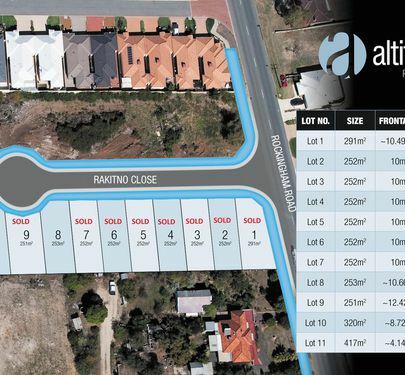 With a perfect PARKSIDE location and DEVELOPMENT POTENTIAL (subject to relevant planning and council approvals), this is an OPPORTUNITY not to be missed! Options abound here - A fabulous FAMILY abode, with some incredible schools within easy reach. Also a brilliant INVESTMENT - ready to rent out if you are looking to build your property PORTFOLIO or, develop now and reap the REWARDS. Many buyers are only just discovering Bedford, while those who are local to the area know how awesome it is - a leafy suburb on the edge of the city, filled with character homes and dotted with cool CAFES and restaurants (Our Table and Red Man Cucina to name but two)! With PARKS and reserves in abundance, Bedford supports a lifestyle of outdoor activity and recreation. - 3.9km to ECU Mt Lawley. 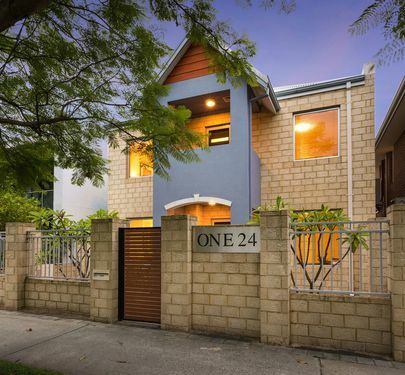 - 2.9km to the Meltham train station and bike routes to the CBD. 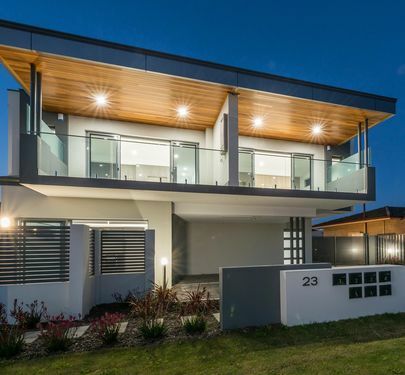 Live in, renovate / extend or simply knock down and build your dream home in this highly sought after BALCATTA suburb with magnificent city skyline views. 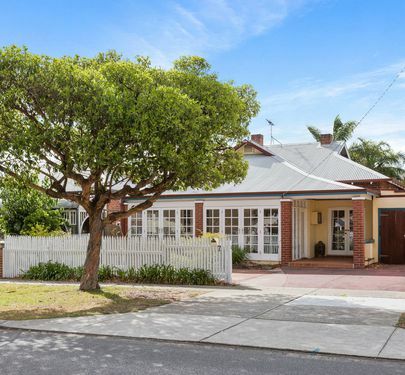 15 Langworth Road screams potential for buyers looking at taking advantage of the property market to get you ahead in life. 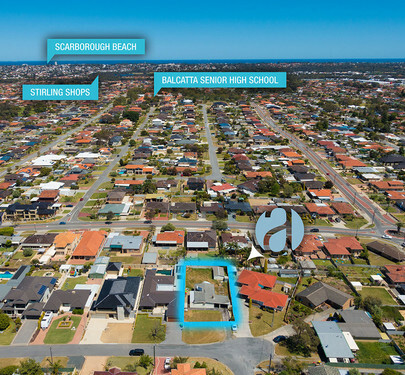 Located in the HEART and on TOP of Balcatta, you are never too far away from the action being, equal distance from the City and the Coast this property offers the perfect balance between work and lifestyle. WATER RATES: $1070 p/a approx. COUNCIL RATES: $1420 p/a approx. CALL TO ARRANGE A VIEWING AS THE PROPERTY IS CURRENTLY OCCUPIED WITH TENANTS!! Make Your Mark on Muriel! 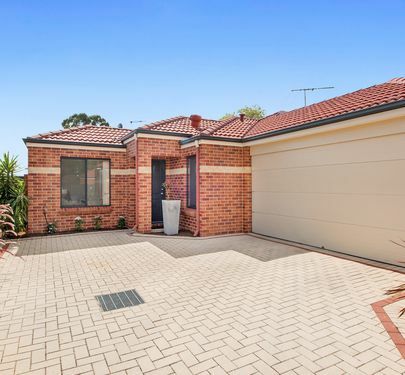 With experts tipping Innaloo as a real estate hot spot, a home in a booming suburb with plenty of privacy, multiple parking spaces and even grassy parks nearby for a little furry friend is certainly becoming a rarity in this area, but you'll have just that with 12C Muriel Avenue. Built in 2012, this private rear home is conveniently positioned among the area's long list of amenities, designed to be very low maintenance and ideal for young families, savvy investors, hard-working professionals. 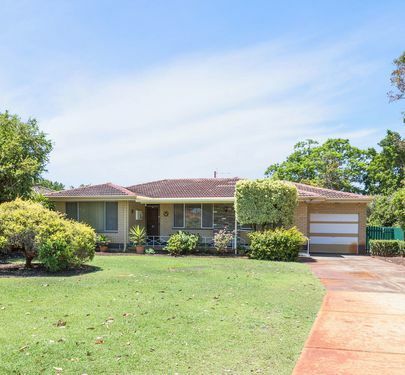 Only a short walk to Innaloo Shopping Centre, great schools, convenient shops and the bustling Scarborough Beach, this home has it all for the busy small family, forward thinking young professionals or downsizers with grandchildren on the horizon. A well-equipped stone kitchen will keep the Masterchefs happy with more storage cabinetry than you can shake a wooden spoon at. This culinary cove is made complete with ample bench space, a double sink and stainless steel appliances. The light and bright dining and living areas boast more than enough room to comfortably host dinner with family and friends. 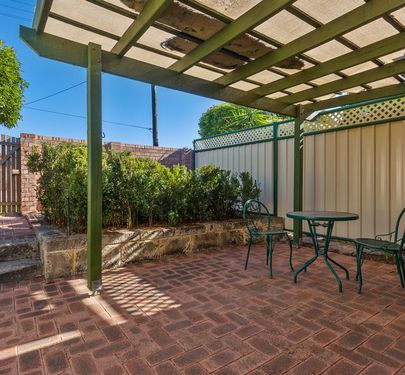 This all feeds onto a quiet alfresco courtyard ideal for entertaining or enjoying a glass of wine on a summers evening, you even have a lemon tree to keep your Coronas topped up with wedges on Australia Day. Out the front a significant garage allows for two cars and some extra storage, with more room in the driveway if you need it. The master bedroom is much larger than average for the area and very private, boasting enormous mirrored built-in robes and a wonderful low-maintenance ensuite with European style fittings. The two remaining bedrooms each have built-in robes and share another well-equipped bathroom, with reverse cycle ducted air conditioning in every room ensuring everyone is comfortable all year round. Whether you're upsizing or downsizing your family or your home, be sure to pencil in a viewing, because 12C Muriel Avenue will not last long! OTHER FEATURES INCLUDE: 2 W/C's, quality tapware throughout, double brick construction, tile roof, gas to property, security alarm, separate laundry, retic. COUNCIL RATES - $1740p/a approx. WATER RATES - $1200p/a approx. 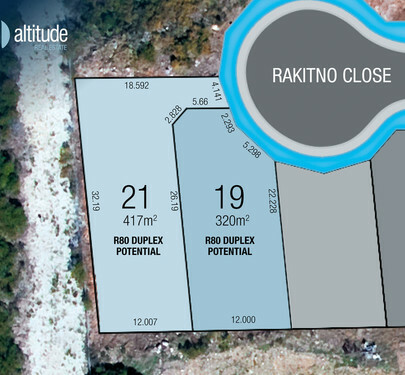 A great opportunity to secure a rare parcel of land located DIRECTLY ACROSS THE ROAD FROM THE HYDE PARK WATER PLAYGROUND in a tranquil, family friendly community. Only moments from bustling social hubs including Beaufort Street and the Angove Street cafe strip, several great schools and just a stone's throw to the CBD. When all the errands are building up the North Perth Shopping Plaza is conveniently just around the corner. If the city life doesn't tickle your fancy and you're more the active type, Beatty Park Leisure Centre is only around the corner. 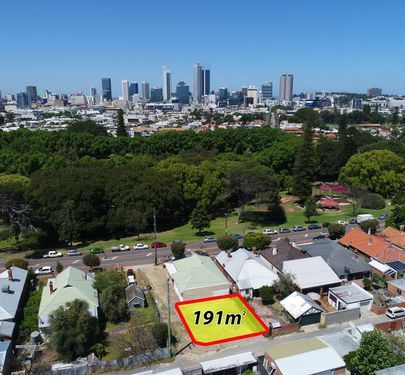 This 191sqm of perfectly positioned land sits at the rear of an existing home, and with rear laneway access you can take full advantage of the space with your own private frontage. 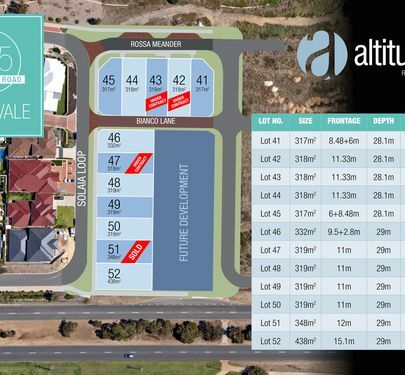 Build your dream home in a dream suburb, just launched onto the market, this opportunity will not last long. - Across the street from Hyde Park. - 800m to the Beaufort Street strip. - 950m to the Angove Street cafe strip. - 5 minute drive to the Leederville social hub. - 950m to Beatty Park Leisure Centre. - 15 minute walk to into Northbridge. - 10 minute bike ride to the CBD. THE DEVELOPERS SAY 'SELL!' - SO COME AND MAKE AN OFFER! This is your chance to buy an exquisite apartment at an incredible price. All offers will be considered. Ready to leave the NEST? Mum and Dad telling you it's TIME'? Ready to put your BIG KID PANTS on, watch Netflix and chill in a fancy pad literally MINUTES TO THE CITY and less than 10km TO THE BEACH? Well put down the smashed avo and dial your broker's digits (or ours - call me for the deets!). Your olds will feel even better knowing that these awesome apartments come complete with ALARM SYSTEMS and INTERCOMS and a SECURITY GATE that you can buzz in and out of so you'll always be safe and sound. And while I'm at it - do you want fries with that??? What if I told you that you'll also get a FREE, high end WASHING MACHINE and DRYER with your purchase?! Stop DREAMING and start getting REAL! But in all seriousness, these apartments are not just for the upwardly mobile Millennial FIRST HOME BUYER (hello - $10,000 grant!). They suit DOWNSIZERS, INVESTORS, and LOCK AND LEAVERS, newly SINGLES and anyone ready to MINGLE in a beautifully built, small and sophisticated apartment complex. NB: The photographs used in this advertisement are for illustrative purposes only and they are used to provide an overview of the type of apartments still available. BE QUICK to secure one of these very affordable GREEN TITLE lots in highly sought-after CUL-DE-SAC location! 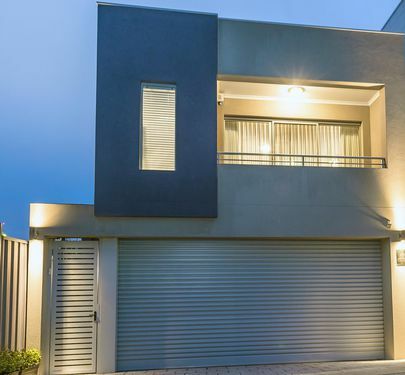 Situated in an elevated quiet street and with its own title you get the benefits of being so close to all the parks and infrastructure private estates have to offer without the price tag or building restrictions! Be quick to take advantage of this opportunity to build your home without compromise! For location purposes, it is also known as 600 Rockingham Rd, Munster.